Here’s a simple question. Why should shopping for your second wedding dress be any different from the first time around? It doesn’t have to be! In today’s changing times, there is no right or wrong way of doing things. Having said that, according to websites and designers that cater to encore weddings, there is still an underlying struggle for second-time brides while choosing their dresses. There is uncertainty on how to go about choosing a dress. Is this on your mind too? Let’s look at some tips and dress styles that will make you fall in love all over again. Do – Know your body type. This is the basis for acing any outfit, whether it is for a wedding or otherwise. 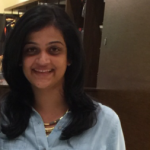 Do – Understand your style and how it can bring out the best in you. Do – Choose dresses that match the theme and venue. Do – Pick dresses that are simple and elegant, but glamorous too. Do – Take cues from your partner’s outfit, the season, and the time of the wedding. Do – Plan early and be open about your choices. Don’t – Shy away from trying different colors. Don’t – Be desperate to hold on to your younger self. Don’t – Compare it to your first wedding dress. Instead, look at what defines your state of mind now. Don’t – Go over the top or overtly traditional because you think you have to. Don’t – Wear anything that even remotely conflicts with your instinct. Have you planned an evening wedding followed by a reception? Look for a ball gown style lace dress with full sleeves – because this style is back in all its glory. 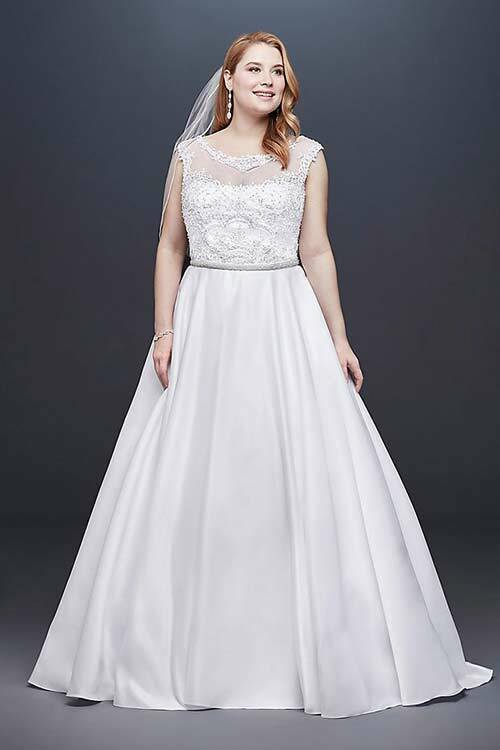 This lace dress is a perfect choice for a simple second wedding dress with a little bit of everything – traditional lacework, illusion sweetheart neckline, lace applique work for the bodice that cinches down at the waist, and a beautiful train. Brides over 40 usually find shopping for a wedding dress overwhelming because fashion seems to be ever-changing, and rules are rapidly being redefined. Here’s a dress that is simple, elegant, and stylish without being over the top. A-line dresses are evergreen and a safe bet. Instead of lace, go for a chiffon dress with a broad V-neckline and a well-defined bodice that trickles down into soft ruffles. Finish it with a veil and look like a dream! Break all the rules at your second wedding by going for an unconventional color! This midnight blue satin dress is simple yet exquisite, and that’s the advantage of choosing fabrics like satin that come with an innate sheen. Little details like the flutter sleeves and embellished bodice lift the dress further. Choose accessories that define your personality, age, and preference. If you are a bride over 50, you have a choice to give in to the stereotype of what an older bride should wear, or go all out. However, you can also bring in a balance with beautiful dresses like these. 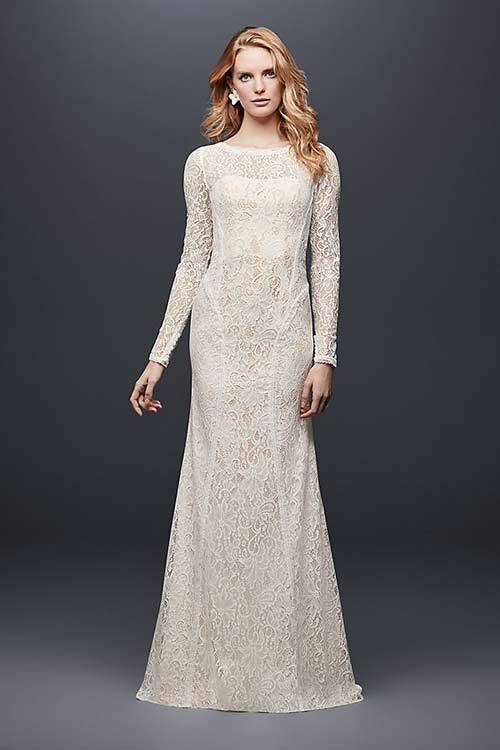 This trumpet style lace dress is timeless, but its details, like the sheer sleeves, embellished waistline, and a broad V-neckline, are contemporary elements that sprinkle some coming-of-age magic. Want a ball gown style dress, but looking for something that is not just about lace? Here is a dress that does just that for you. 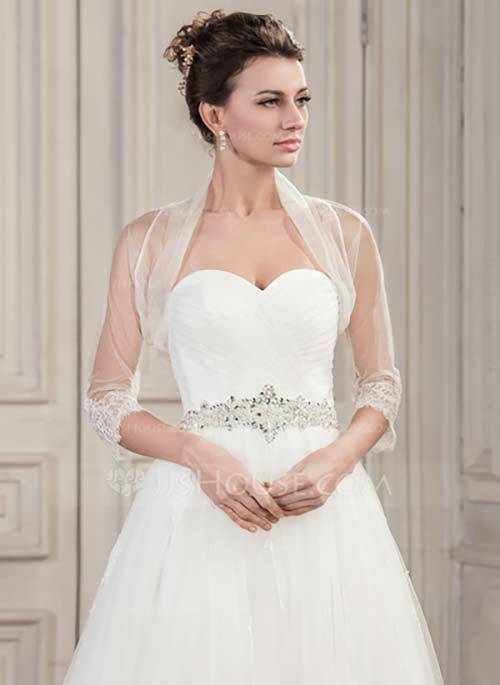 It’s simple and beautiful, featuring an illusion sweetheart neckline with cap sleeves. The minimalist lace applique and the beaded sash that defines your waistline look equally good on both petite and plus size brides. ‘Opulent’ is the word that comes to the mind when looking at this dress. If you want to inch away from a typical white lace dress, go for an ivory or off-white sheath dress like this, with a V-neck that plunges into a perfect fall loaded with beads, and an empire waistline that accentuates all the right places. The pearl embellishments, lace applique work, and illusion back buttons make this dress irresistible. If you want to keep it simple and informal and maybe even use the dress after your wedding, here’s a dress that is crafted for you. This guipure lace short dress with a sheer neckline and appealing hemline is what second wedding dreams are made of. Finish it off with ankle strap heels and sparkling earrings to walk down the aisle. Have a destination wedding in mind? Is it a beach wedding? A private affair with less than 50 people? That sounds like a fairytale to me. Go with a knee-length dress like this one to match the vibe. 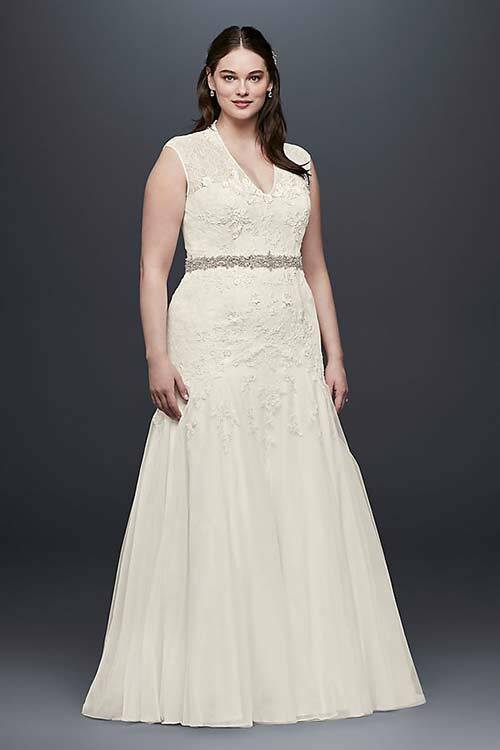 The sweetheart neckline with sheath bodice, full sleeves, and a high scoop neck entirely fit the bill. Put your hair in a chignon updo and a veil to finish off the outfit. White may be the norm at first and even second weddings, but brides are not shying away from trying subtle pastels or dramatic blues. If you want to meet in the middle, go for a blush pink mermaid style dress that fits in all the right places. The lace applique work and boat neck amp up the look further. An A-line dress in lace and chiffon that leaves behind a beautiful flowing train – what else do you think makes a perfect bridal dress? 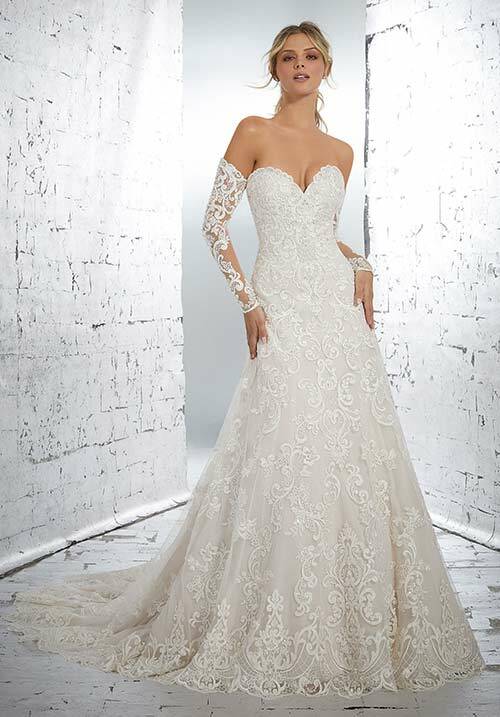 The illusion lace sleeves, applique work for the bodice, and beaded waistline are all details you can’t get enough of. Look like a princess or a diva on your wedding day, and do it with panache. Dresses like these are what we are talking about. 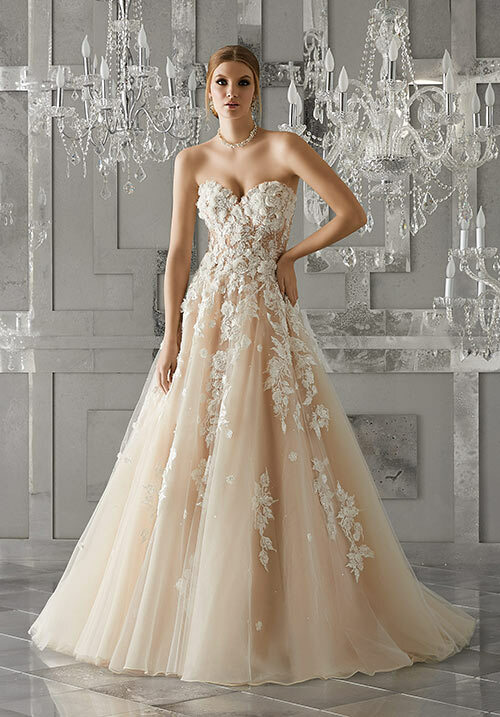 This ball gown style tulle dress with a sweetheart neckline, an embellished waistline, and a tulle wrap is a show-stopper. Want your wedding dress to be loaded with lace? Yes, we like the sound of that too. 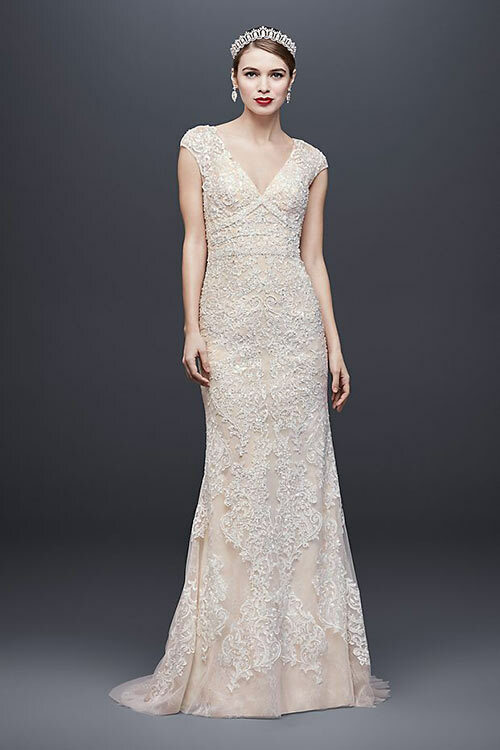 An overarching lace sheath dress is a good idea, but make sure there are little details that playfully elevate the dress – like trimmed edges for the neckline, a well-defined bodice, cuffs, and an open back with a tassel cord. A winter wedding? 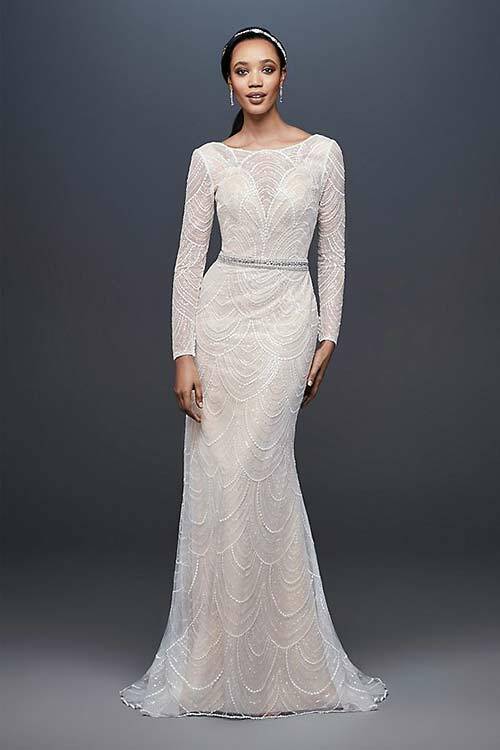 Look like a damsel in a winter wonderland in this beaded sheath wedding dress with a timeless silhouette popping out with tiny embellishments. The scalloped neckline, gleaming with sequins and beads as it gently falls, looks gorgeous, to say the least. Keep it simple yet glamorous in this organza tea-length dress adorned with a big floral element that gives it a stunning three-dimensional effect. Style it with a veil and peep-toe shoes. 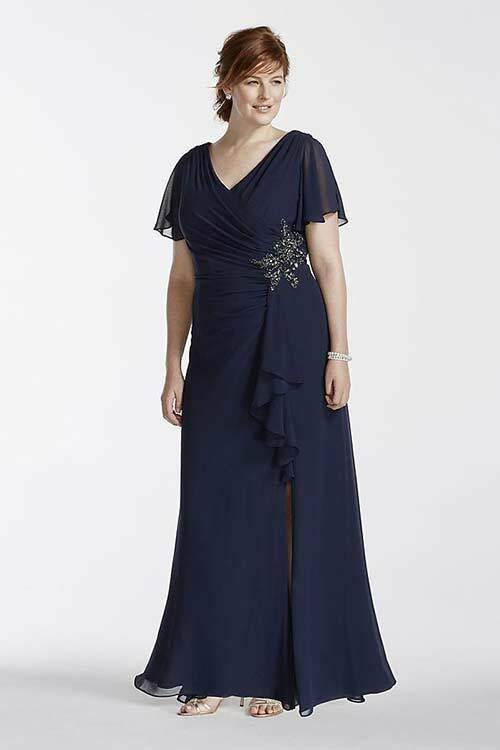 We often think that A-line dresses need to be typecast into long flowing dresses. Here’s a shout-out to petite brides and proof that you don’t have to go with dresses that are long and consuming. This knee-length lace dress checks all the boxes without compromising on any details. Rounding back to where we started, there are no hard and fast rules for doing things a certain way. If you think you have a dream dress that might not fit in with societal understanding of how a second wedding dress should be, you know what to do. As long as it defines you, and you carry it well, there is no stopping you. What are your thoughts on this? Let us know by dropping in a text in the comments section below.